Thanks to all for the birthday wishes on “our” sixty fourth birthday! 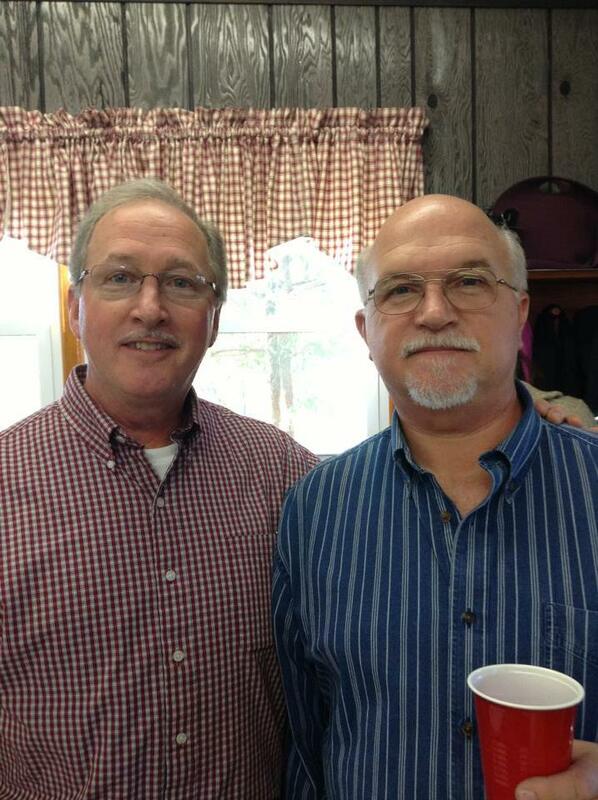 Pictured above is me and my twin brother Bruce. I used to say I’m 20 minutes older than Bruce but now that were older he gets to say he’s 20 minutes younger! If you get my drift…. Bruce and I are blessed beyond measure to have great health and wonderful wives and grandchildren. We were raised in a single mom home and the odds of us making it in life, having stable families, getting good jobs, etc. were pretty slim. But because God is the “Father to the fatherless” and through the prayers of many who knew our situation both of us went on to marry our high school sweethearts, get great jobs without a college education and have wonderful children and grandchildren that are a great blessing to us. We give God and our Savior Jesus all the credit and glory! This morning Bruce sent me an email that contained the words to the Beatles song “When I’m Sixty-Four” so I copied them below and included the Youtube link to the song if you’d like to listen.